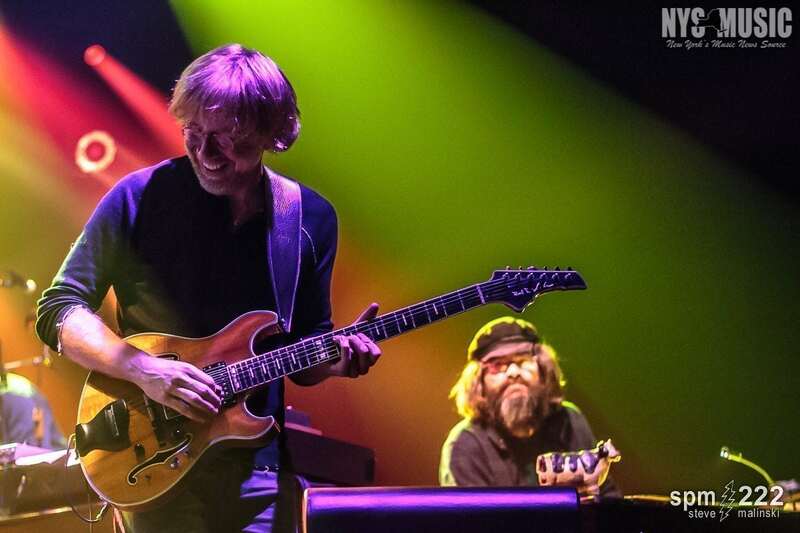 On Friday, April 14, the hallowed halls of The Capitol Theatre welcomed a sold-out crowd for the first of two nights there for the start of Trey Anastasio’s solo tour. 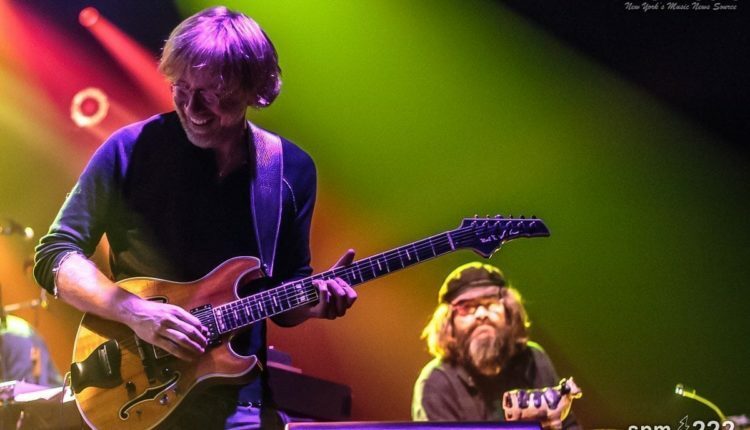 The magnificent sound and history of The Cap made it the perfect setting for a tour opener, not to mention a diverse setlist composed of Anastasio and Phish tunes along with a few debuts and covers. The second set was much looser and groovier with a greater focus on opening the songs up to feature improvisation from everyone on stage, including an impromptu moment with Cyro Baptista getting goofy on percussion. It opened with the salsa-inspired “Curlews Call” and “Night Speaks To A Woman” before getting to the first of two songs in the set from Paper Wheels, “Liquid Time.” Ray Paczkowski’s keyboard introduced “Alaska,” a tune introduced by Anastasio in 2008 prior to Phish’s reunion and reminiscent in feel to a faster version of the Grateful Dead’s “Tennessee Jed.” Things got funkier as “Simple Twist Up Dave” came around with the slow groove of “Windora Bug” following, featuring Markellis on vocals. Speaking of vocals, Jennifer Hartswick had the theatre roaring after her performance on the band’s cover of Gorillaz’ “Clint Eastwood” and again on their take on Led Zeppelin’s “Dazed and Confused” to close the set. After closing the second set with a high-energy and powerful performance of “Dazed and Confused,” the band returned for an encore starting with another debut. The traditional Irish tune with roots in 17th century Scotland, “The Parting Glass,” was a pleasant surprise to hear. The a cappella rendition was led by Anastasio on the first verse, complimented with beautiful harmonies from Casey, Hartswick, and Cressman. Anastasio and his band blazed the end of the show with “Push On Til The Day” with the horns bringing out their inner Tower of Power to add a punch to the song.